I'm a big fan of Barry M nail polishes. They're inexpensive and the choice of shades is seemingly endless. So when I saw their new Daylight Curing Range in Boots a few weeks ago, I just had to give it a try. In case you haven't seen these yet, the concept is intriguing. 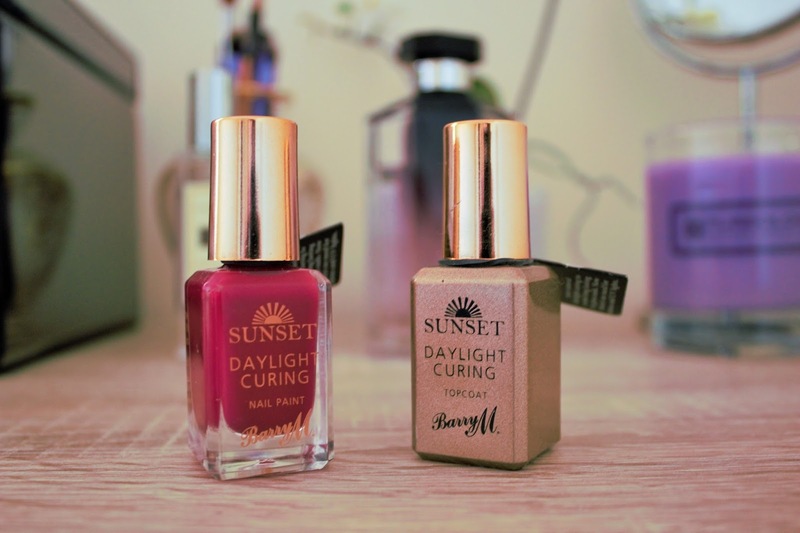 You buy the shade of your choice (I went for Fuchsia Generation) along with the Daylight Curing topcoat. 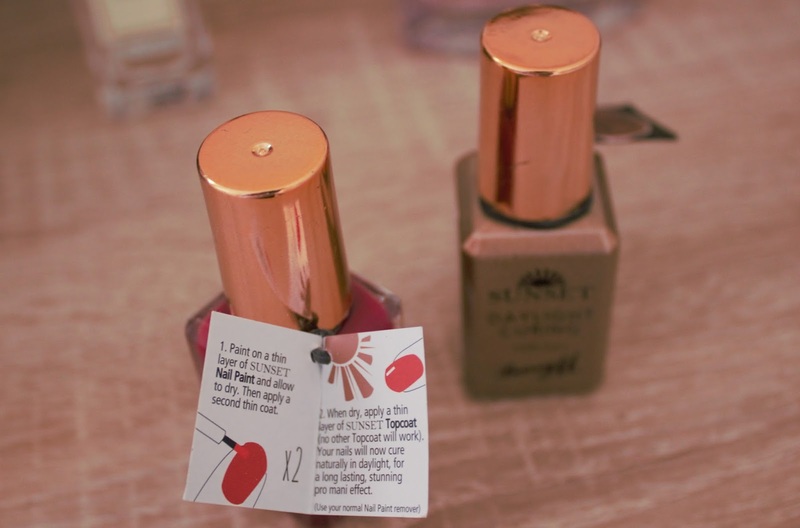 Apply two thin coats of colour, allowing the first to dry before applying the second. Then follow with the topcoat, and allow this to dry in the natural daylight. 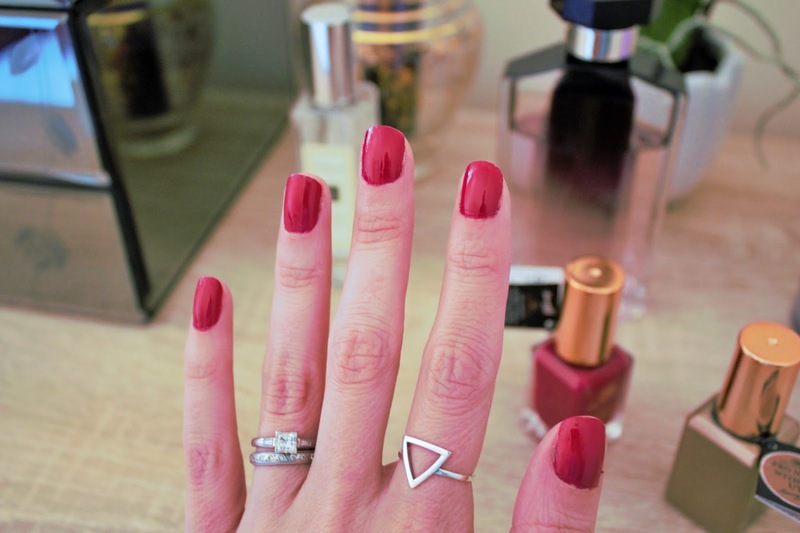 The effect is supposed to mimic a professional gel manicure and stay chip free for days. If you happen to chip nail varnish in your sleep, like me, this is a very attractive prospect. Yes, it's slightly annoying having to buy the special topcoat, but I figured it was worth it for the results promised. Application of Fuchsia Generation gets a big thumbs up from me. It went on smooth as silk and felt somehow "stronger" than a regular polish, which made me feel quite hopeful about this whole no chipping business. I followed the instructions to the letter and allowed each coat to dry completely before applying the next. At first, I was seriously impressed. I loved the colour, and the finish was impeccable. It was absolutely streak free and really did look as though it had been applied by a professional. However, I'm sorry to say that, at least on me, it chipped as quickly as any other polish. Within 24 hours, to be precise. Normally, that's about what I would expect, but in a polish that specifically claims to be long-lasting, I do find it somewhat disappointing. So would I buy more of these? Well... I might. As I said, the finish is lovely, and at £4.99 they're not exactly extortionate (although more expensive than the other Barry M formulas.) So now that I own the topcoat, if I saw another shade I liked I'd probably pick it up. Even so, I can't recommend buying this product solely for the purpose of enjoying a chip-free manicure for longer because, in my experience, this just didn't happen. I would love to know if anyone else has tried this. What did you think of it, and did you have a better experience with the chipping than me? Let me know in the comments! DO you need daylight or sunlight? And sorry to hear the lasting effect wasn't as promised. I chip my polish very easy, too. So annoying. As much as I love BarryM colours, I stopped buying their varnishes long ago because they chipped so easily. Sorry to hear that this new one didn't live up to expectations either! I've eyed these up in store a few times recently. I too love the Barry M nail paints so have been curious about these. 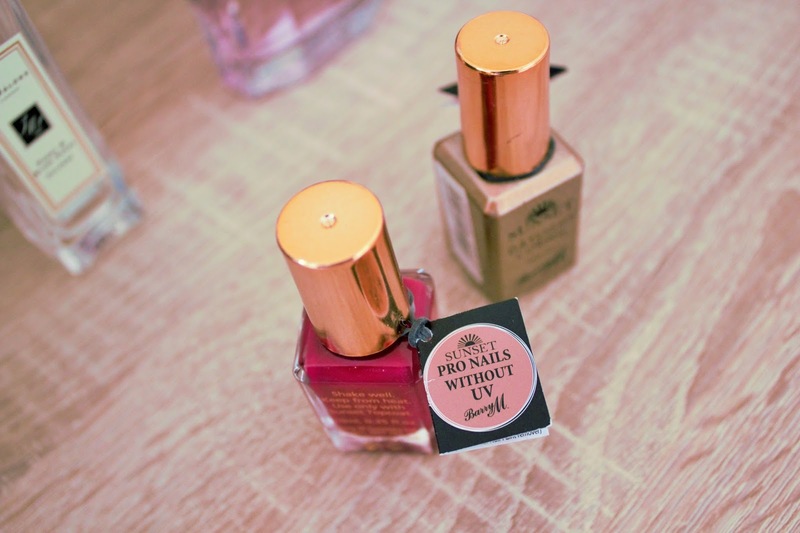 It's often hard to find a top coat that actually keeps the nails chip free for longer but the coloured polish looks great and I'd be keen to give that one a go. I need to look into these as I have heard mixed reviews. Nail polish doesn't last two minutes on me though, gel or not! Pity they chipped so easily! I find chipping isn't as bad if you wrap the nail polish around your nail - so paint on the edge of the nail onto a little bit of the underside.